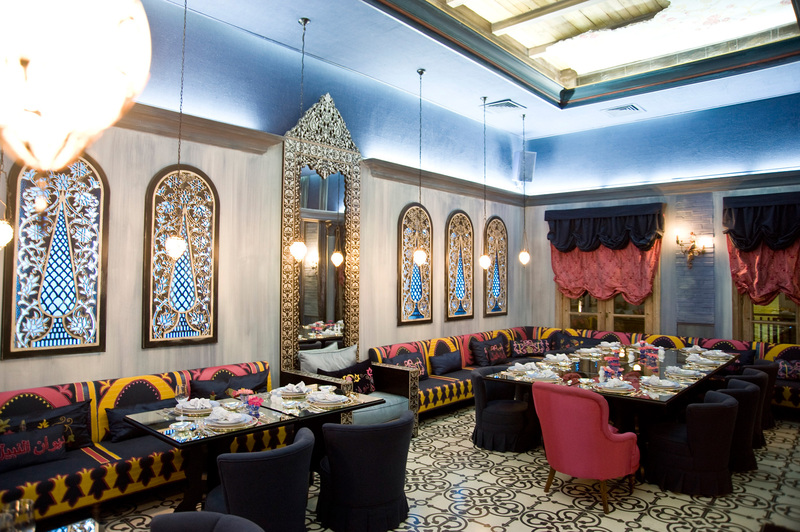 To most Beirutis, finding a decent place to eat within a close proximity is a piece of cake. 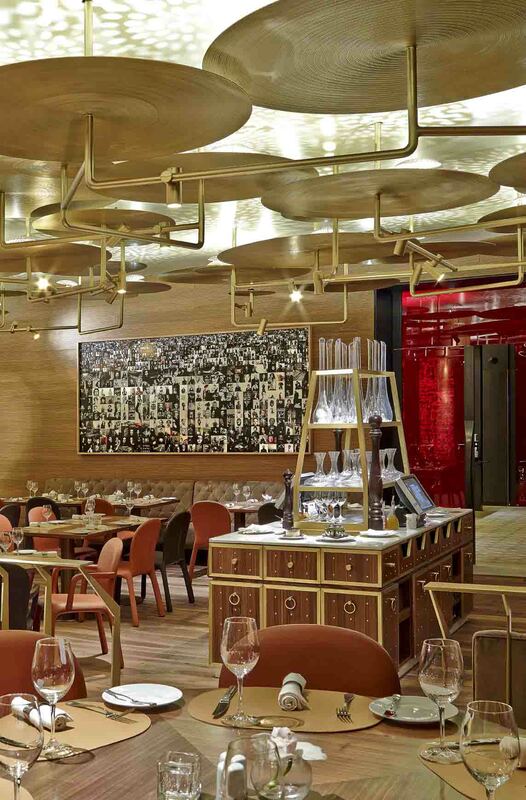 Beirut has enough restaurants and cafés that cater to every cuisine and atmosphere for a lifetime. But what if we wanted to spice it up a notch and go somewhere where both the food and the restaurant itself are awe-inspiring? Without further ado, here’s a list of five places in and close to Beirut guaranteed to satisfy both your sight and taste buds. Located on the ground floor of Saifi Suites, Society hits the nail on the head with interior décor. Not only do the chandeliers oscillate a starry white night, but what resemble gold cymbals fill the ceiling with radiance. Designed by Gregory Gatserelia, the gold walls contrast perfectly with the brown and maroon leather seats, adding to its romantic ambience all the more. 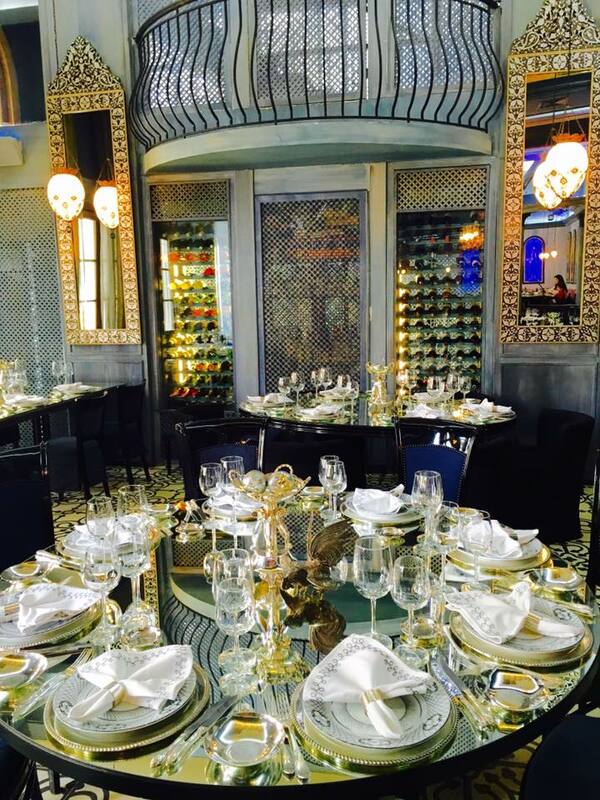 Popular for its mouthwatering Mediterranean dishes and the luxurious dining experience, Em Sherif offers a unique escape from the hustling and bustling streets of Beirut. 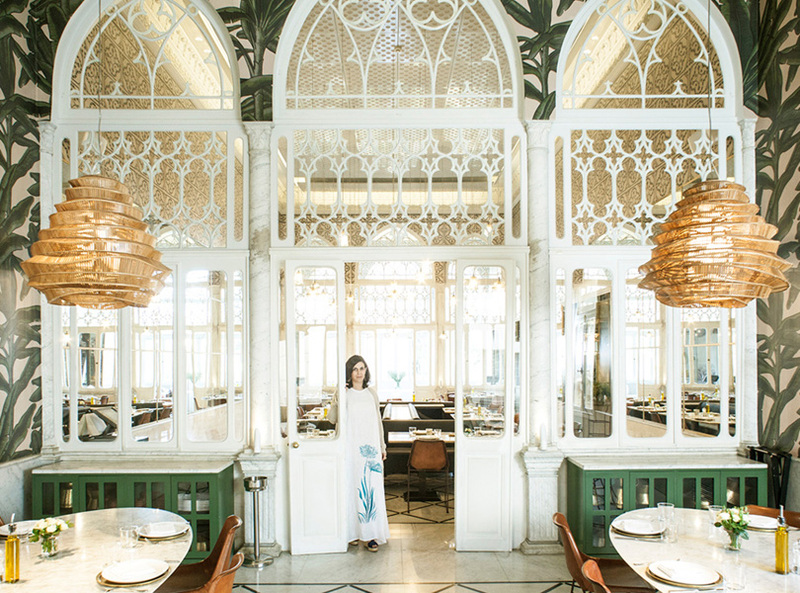 The restaurant is meticulously decorated with a kaleidoscope of vibrant colors, all of which aid at crafting an antique oriental masterpiece. Book a table in advance, and prepare to be pampered like royalty in your mansion for a night. 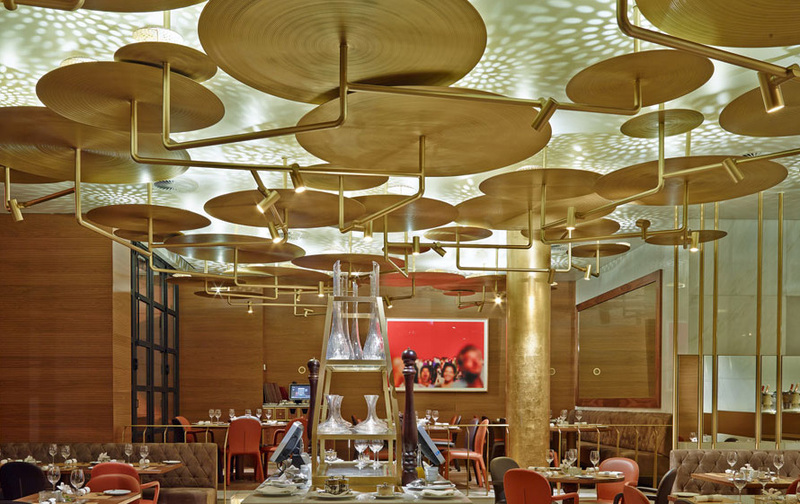 In an exceptional attempt at blending a mid-century theme with that of a dreamy Moorish interior, LIZA Beirut delivers brilliance. It’s hard to imagine anyone could have possibly visited this place just for a good meal; for the intricately selected surroundings make it difficult to maintain a conversation. Walls covered by jungle and city themed wallpaper encompass the restaurant, which happens to be a Lebanese home with three distinct rooms. 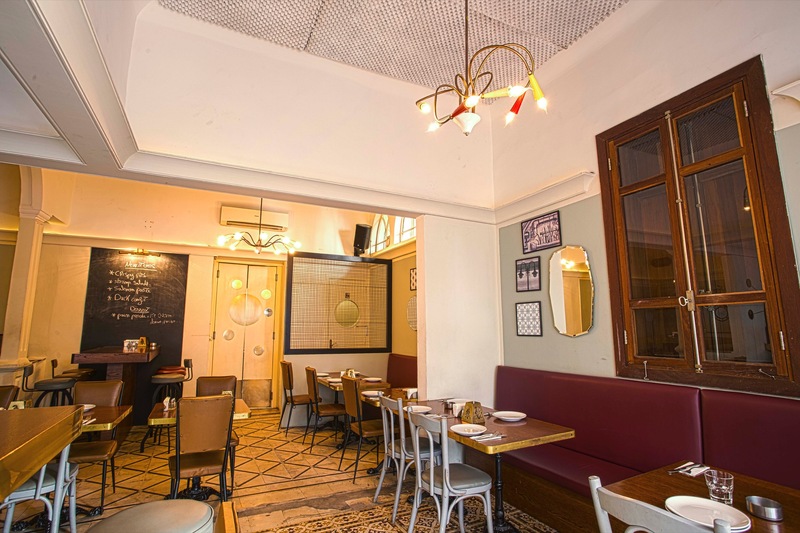 Tucked away in the heart of Ashrafieh lies Brass, a bistro that’s repeatedly been called a “hidden gem” by Locals. The bar/resto, resembling French brasseries, delivers a classy yet cozy ambiance; making it just the place to be on a relaxing night out. Though this restaurant is not exactly in Beirut, it is definitely worth the trip. Upon entering La Crêperie, you’re welcomed by sky-high olive trees on your right following an elongated pathway. 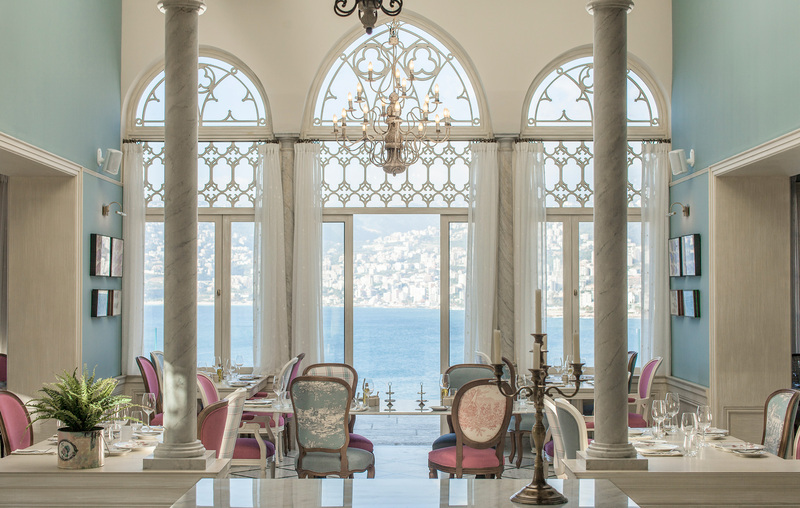 The breathtaking view you get of Jouneih’s sparkling blue harbor goes hand in hand with the elegant décor, and the velvet pink and blue chairs add just the right feminine touch. 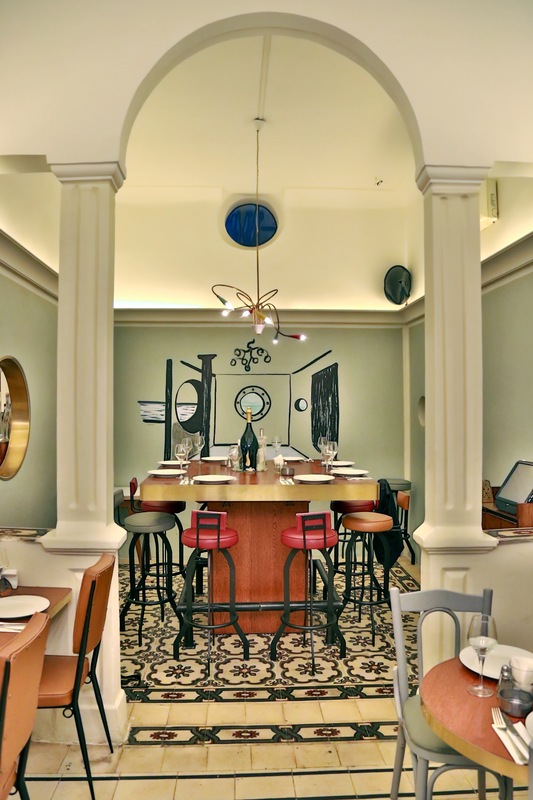 Maggy Monsef, the interior decorator of la Creperie, said she was “inspired by Mediterranean nature” when decorating the restaurant while retaining its historic aura. “I [was inspired] by the region’s pastel colors, since La Crêperie stands on this unique rocky promontory, above one of the most beautiful bays in Lebanon,” Monsef said. She goes on to explain that she chose to tell a story through each of the rooms in the house, as if the visitor was strolling through multiple gardens. La Crêperie almost feels like a real-life princess castle, with framed butterflies displayed on walls and white marble tables scattered across the stone house. The Music in the Wall Live gigs in Beirut Lara Mekkawi At around 8 pm on a weeknight, an empty street begins to fill up. Everyone seems to know each other. Then the guitar string hits. It’s time for sound check. Cigarettes are lit, and the drinks start coming. The street falls silent, as the people enjoy the musings of the artist inside.